• الموضوع : El Husseini visits Paris Grand Mosque and confirms the importance of the mosques role in educating Muslims and nurturing a culture of tolerance and harmony in their homeland France . 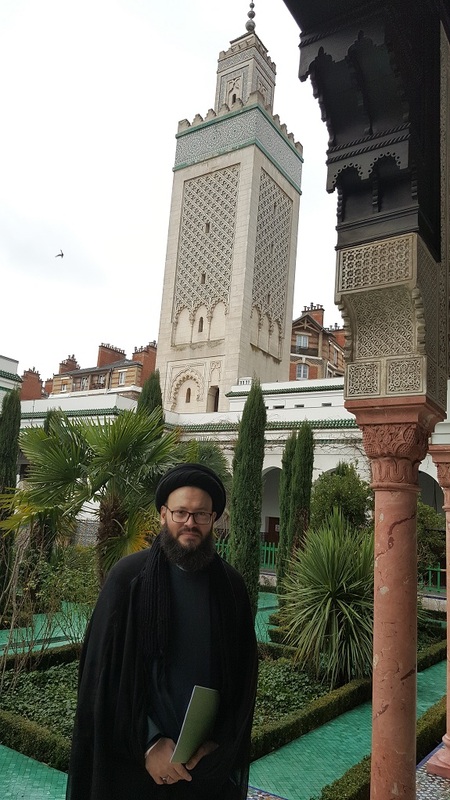 In his visit to France, Cleric Dr. Mohamad Ali El Husseini, visited the Paris Grand Mosque. The mosque is considered as the largest and oldest Islamic monument in France, as it was constructed in 1926 as an endowment from the French government, in its gratitude to the Muslim soldiers who defended the nation during World War 1. Dr. El Husseini explored the historic and religious monument, which consists of a spacious garden, courtyard and prayer hall. The monument is characterized for its unique mosaic architecture, which beautifully blends ancient and modern arts. Dr. El Husseini praised the important role that the Paris Grand Mosque performs in enlighting the Muslim youth in France, and spreading the values of love, peace and coexistance, and appreciation of their homeland France and serving its nation as good citizens.